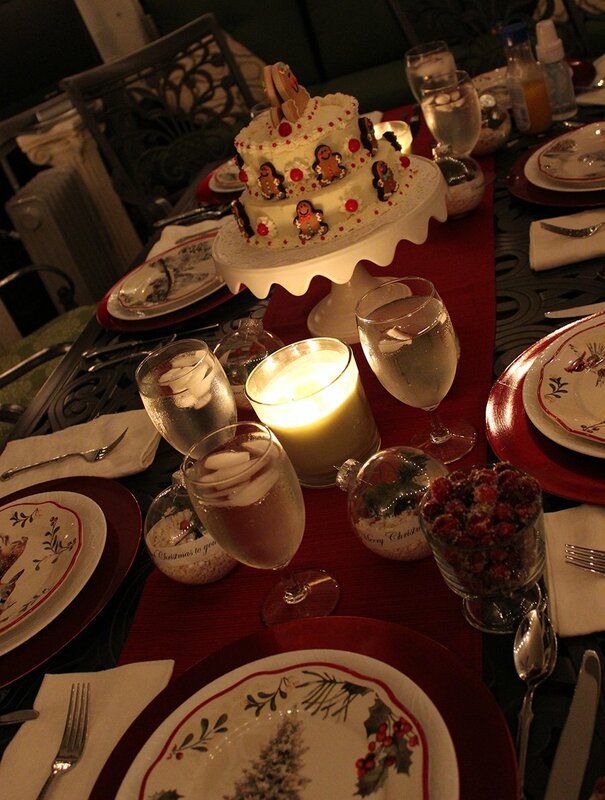 I just wanted to share a few shots with my readers of Christmas Eve dinner at my parents’ home. What was once a shabby fiberglass-roofed patio that lulled me to sleep with the loud echo of raindrop when I was a child has been converted in recent years to a spacious 4-season sunroom with floor to ceiling windows and climate control. The view during the day is great, but at night the glass becomes mirrored, reflecting the strands of patio lights and multiplying them by the hundreds. 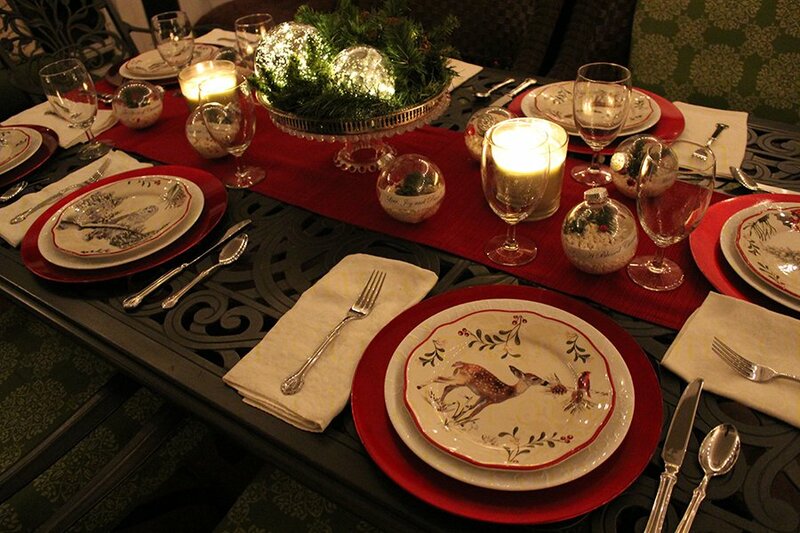 The effect is really neat- and the perfect setting for this lovely tablesetting my mother put out for Christmas Eve. Pardon the baby food on the table, it does get hard to shoot a formal tablesetting with children and grandchildren settling at the table hungrily! 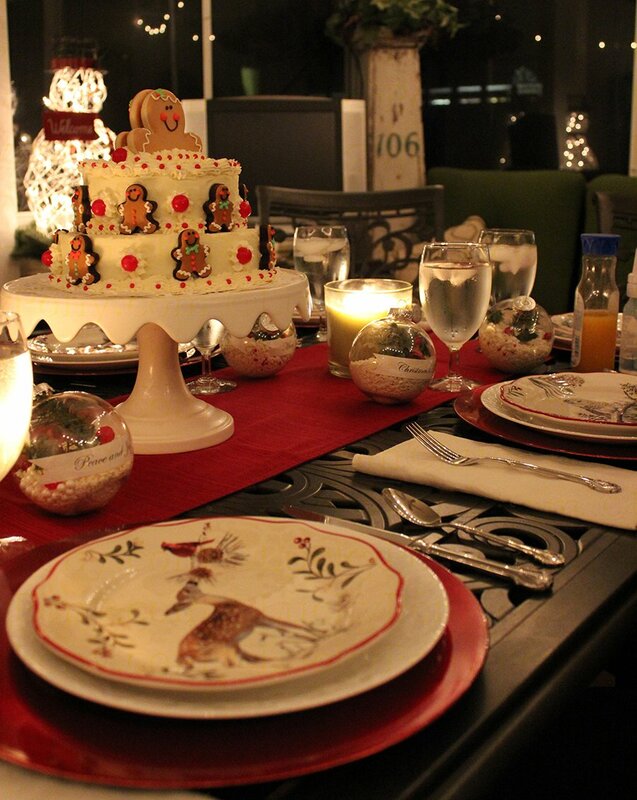 My mother’s Christmas Cakes are legendary. 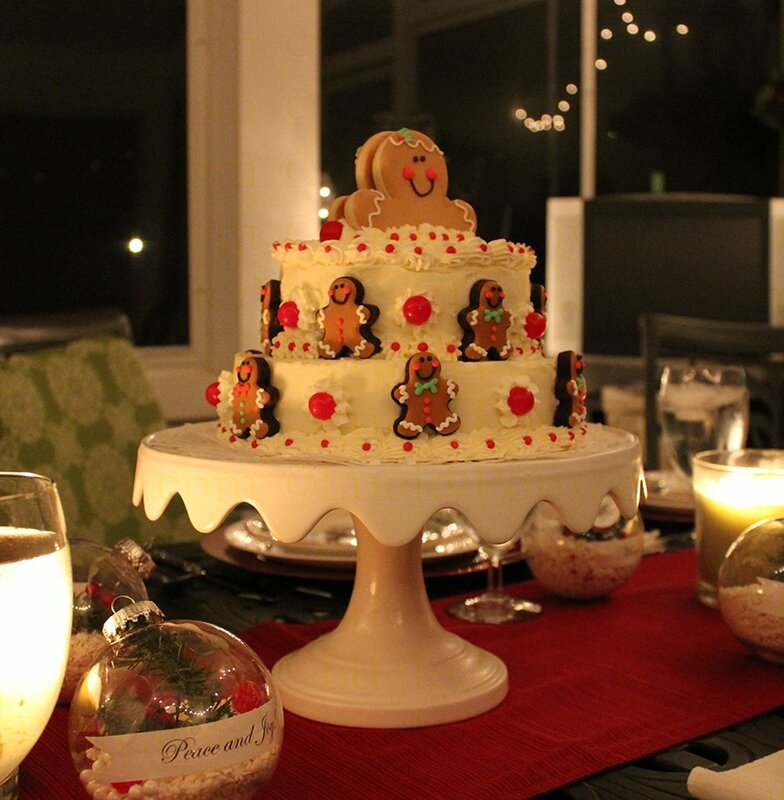 Here, a basic 2 tier chocolate cake gets a treatment of vanilla buttercream icing and then decorated with pre-made (by a baker friend of my mother’s) gingerbread men, red hots, and gum drops. 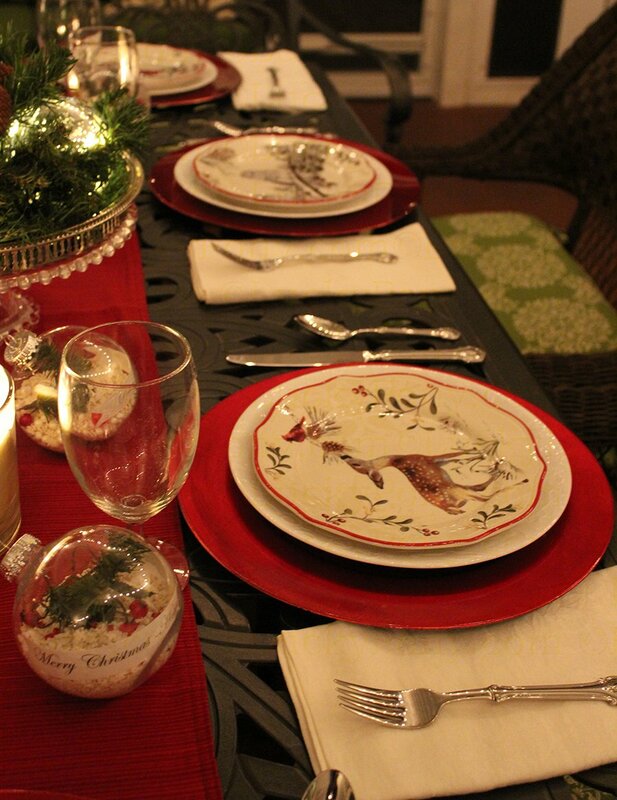 I love these plates featuring owls, christmas trees, and fawns in winter scenes- turns out they are basic Better Homes and Garden holiday plates from walmart. My mom has the BEST eye for finding stylish pieces in unexpected places.